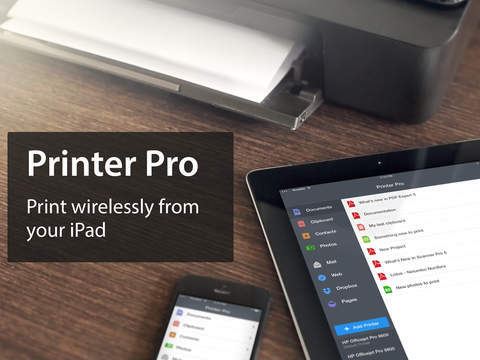 A few years ago, Apple introduced a way to print from your iOS device called AirPrint. It’s really easy to use and requires no setup whatsoever. The issue was, and still is in 2014, that not a lot of printers support it. And if you’re using an older printer in your office or at home, you’re out of luck. That’s where Printer Pro by Readdle comes in handy. After you’ve set up your printer, either directly (if you own one of the huge number of supported printers) or by installing a little helper app on your Mac/PC, the universal app offers you a number of ways to print your documents. You can access files stored in your Dropbox or iCloud Drive, directly access your photo library or contacts, or just use the handy iOS 8 share extension in virtually any app. There are a few limitations (e.g. you can’t print webpages that require a login), but overall the app is pretty easy to use. And, of course, it sports the sleek look&feel of Readdle’s apps.